I have worked in the education sector at all academic levels since the mid 1970's. I have lectured for the Open University in UK for 8 years in Education and Equality studies and worked as an Advisory teacher and member of the Inspection Team for the Newport Borough Council in Wales, UK. I have been Head of Special Needs (SENCO) in South Wales, and have most recently been an ESOL Tutor and advisor. I was also a lecturer at the renowned Institute of Education, University of Benin, Benin City, Nigeria and was head of the English Department at the College of Education in Benin City. I have written articles in Special Eductional Needs and in Teaching English as a Second Language. I am currently self employed as an educational consultant and cook book writer. I am the founder and CEO of the Gift of Grace Education Project which is a charity that aims to provide education and meals to underprivileged children in Africa. 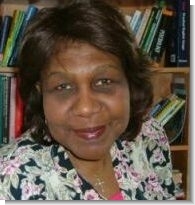 I am Nigerian by birth and my academic studies brought me to the UK in the 1960's. I am currently resident in the UK. Over the years I have lived and worked both in the UK and overseas - mainly in Education. I enjoy cooking, reading and swimming.